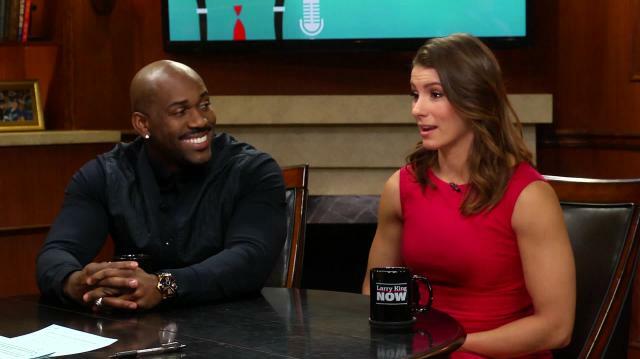 'The Biggest Loser' trainers Dolvett Quince & Jennifer Widerstrom talk fighting junk food temptation, provide innovative ways to eat healthy, and get to the bottom of America's obesity epidemic. Plus, the two fitness gurus help Larry kickstart a new exercise regimen of his own! “More countries are active. I think more countries are taking breaks. More countries aren’t as stressed or making themselves as stressed as we do. And we lean on things to de-stress us, whether alcohol or food to comfort the pressure the we put on yourselves. Quince- on the most important thing he says to men. Widerstrom- on the most important thing she says to women.